With spring so close we can almost see lime green buds peeking out from the plants, it’s time to shake off winter lethargy! Since it’s still a bit icy out, there’s no better place to start your seasonal de-shelling than inside your home. 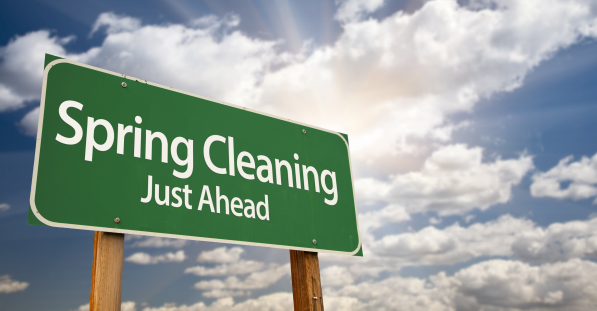 Below are a few fantastic spring cleaning tips for spring cleaning, organized by problem area, that are eco-friendly, DIY, and (believe it or not) fun! Closets are sneaky beasts. One day they’re well curated and clean. The next day, they’re erupting with pants, dresses, shirts, and more. And flabbergastingly, people only wear a jaw-dropping 20% of all clothes they own, according to the Wall Street Journal. 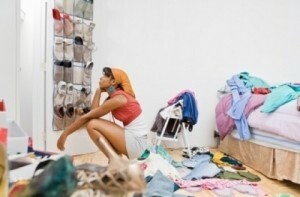 Bring order to closet disarray and disuse by use by purging your wardrobe and swapping excess items online. Sites like Swapdom.com make this to-do easy and—dare we say it?—addictively fun. Swapdom is free to use and its special circle swap system means less effort and higher success than traditional swaps. Plus, you can trade your items for clothes, kids’ gear, or (this last one launching soon) home goods! If your clothes aren’t quite fit for giving away, though, you can upcycle them or use them as rags for spring cleaning. 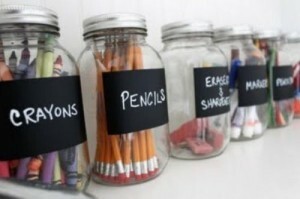 Mason jars aren’t just the glass of choice for hipster bars nationwide; they’re a great organizational device as well! Glue or nail jar lids to the bottom of a shelf, fill the jars, and screw the jars into place for a neat way to organize office or craft supplies, or simply stack jars sideways to create good-looking holders for pens, pencils, or utensils. Another set of interest upcycling ideas puts your worn-out denim to work. Cut off pockets and stick them to fabric stretched over an old frame to create a nice organizer for office tidbits, or weave together long strips of denim to create a handy denim basket, perfect for storing toys, knickknacks and more. Giving the house a thorough scrubbing may not be as fun as skydiving or winning the lottery, but nothing beats starting spring out with a house so fresh and so clean, clean, even OutKast would be tempted to write a song about it. Instead of turning to the harsh-on-the-hands, bad-for-the-earth cleaning supplies that shout out at us from advertisements and grocery store shelves, concoct your own grime-fighting solutions. 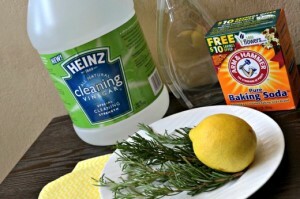 With a few natural, around-the-house ingredients, you can create great DIY cleaning products that cut down on dirt, soap scum, and polluting chemical use. Simply look online to easy recipes! Armed with these tips, we foresee you fighting your way out of winter stagnancy with adamancy! Good luck and happy spring!